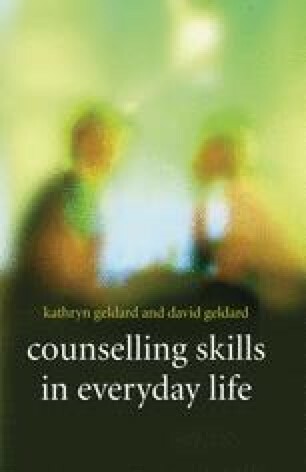 Throughout this book we have been careful to continually draw attention to the need for us to be respectful of the person we are trying to help. This means that we must be particularly sensitive to the person’s need for privacy and cautious when inviting them to talk with us so that we are not intrusive. When a person does choose to talk with us openly we have a responsibility to protect and value the information they have given us. Inevitably, when a person shares personal information about themselves with someone else, the quality of the relationship between them will change in some ways.